You can upgrade your water heater at home by adding a damming system that will catch the water without having to drain your hot water tank. You can start the job by first shutting off the cold water line that feeds into the heater. Opening the hot water faucet will relieve the pressure in the hot water lines. 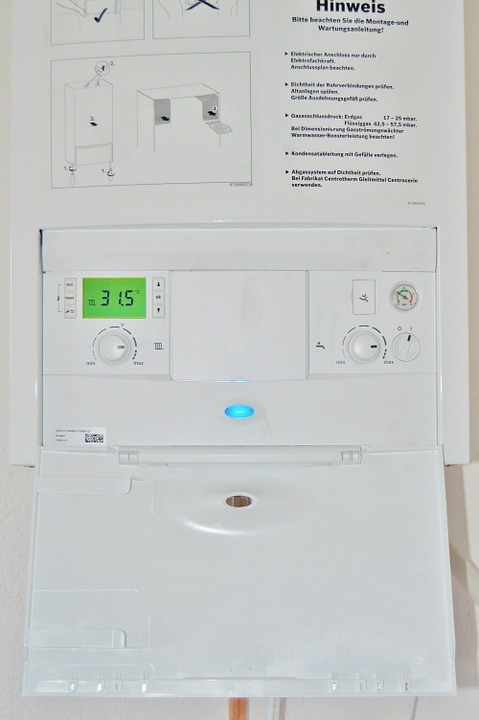 It is necessary to turn the power off if your water heater is run by electricity. If it is run by gas, you need to switch to the pilot position. Relieve more pressure from the tank by letting about a gallon of water out; this will also lower the water level inside the tank. Next, you need to have the pipes ready. Using a tap measure, estimate the length of each section of ¾-inch copper pipe. Proceed to cut sections of the pipe based on your estimated measurements. Assemble the pieces and connect using the fittings. The male adaptors should be screwed in place on the valve. Check to make sure that the whole assembly fits properly. Align the valve assembly to the water heater’s cold water line. Put a mark where you want the assembly to intersect with the line. Using a pipe cutter, cut the pipe that is closet to the water line. Proceed to the top of the pipe and cut again. Your next step will be to assemble the expansion tank connections. Ensure that the pipe coming off the “T” is short so as not to put additional strain on the connection. Clean the joints as you assemble the expansion of the tank connection. Use a threaded male adapter in connecting the tank to the end. All joints must be thoroughly soldered. When the solder has cooled down, use Teflon tape on the threads of the tanks. Install the “T” with the female adaptor of the expansion tank. Screw the tank into the threaded male adaptor and make sure that it is secured. Turn the water heater on and turn on the water line to find out if there are any leaks. To install an automatic shutoff valve, call in a licensed plumber. If you do not have a pan underneath the heater, you can build one without the need to drain the tank. Use a T-shaped rubber strip that is cut according to the measurement around the tank. Apply putty to the rubber’s bottom, and attach it to a coupler. Using a silicone sealer, coat the inside bottom edge of the rubber.